They believe unicorns are the most pious creatures on earth! From medicinal usage to their charm, all of this has made them legendary. A unicorn’s life resides in its single horn. It is believed that their reality trace was first found in India! 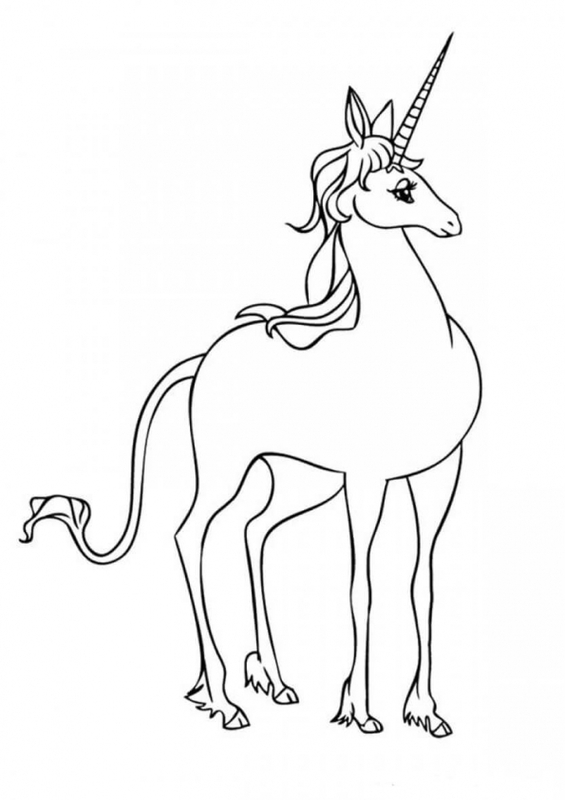 Today we have got you a compilation of some unique unicorn coloring pages. 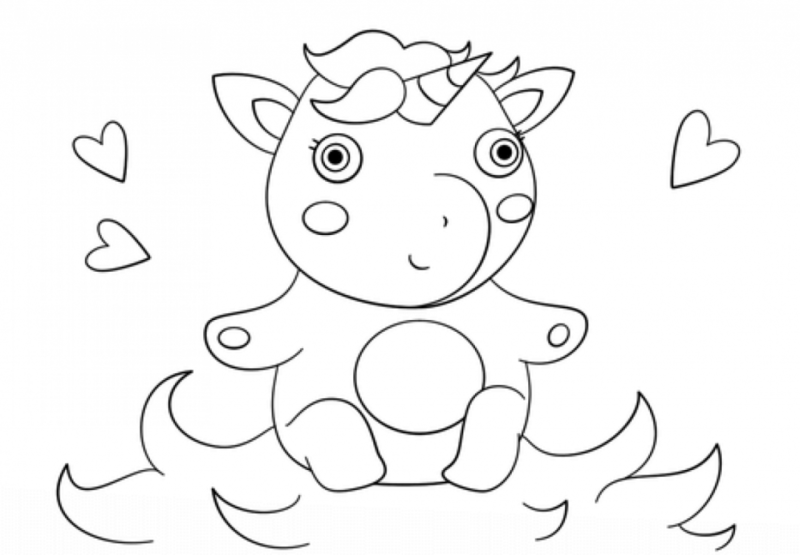 It would be real fun for your children to color them and get into a creative imaginary world! Let’s see how they interpret each unicorn and gets them colored with his/her unique creative mind. The Indian unicorn is supposedly the extinct species of Unicorn. 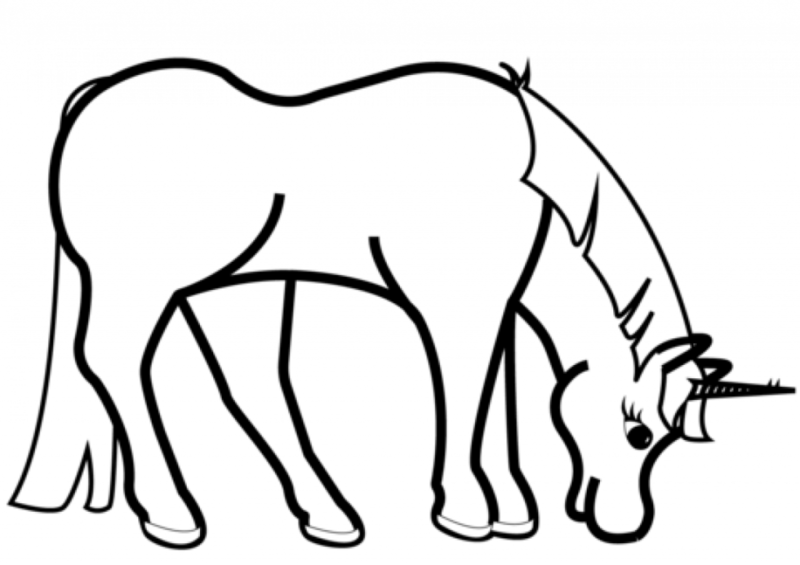 It was believed to be a hybrid of a horse and donkey. It is also known as Equus Assinoceros. 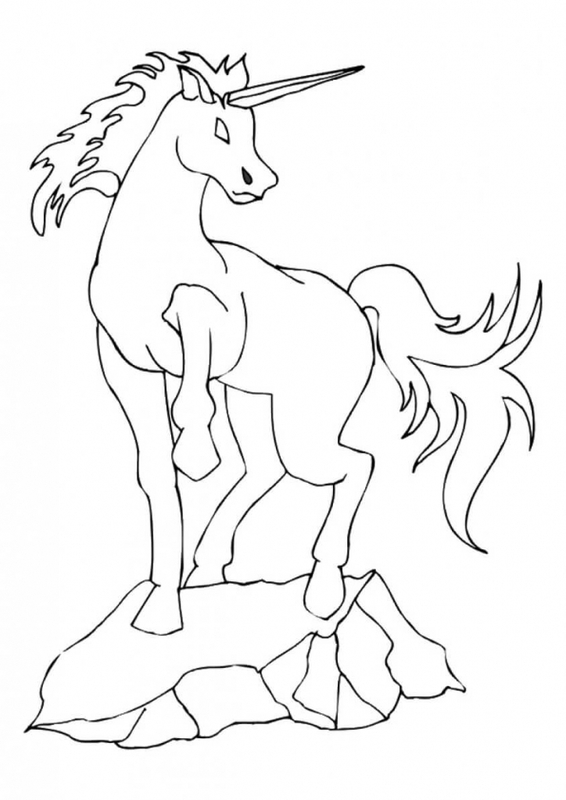 The coloring sheet below depicts a unicorn from the book, Daniel in the bible. The Unicorn portrayed below is a goat, with red eyes in rage! 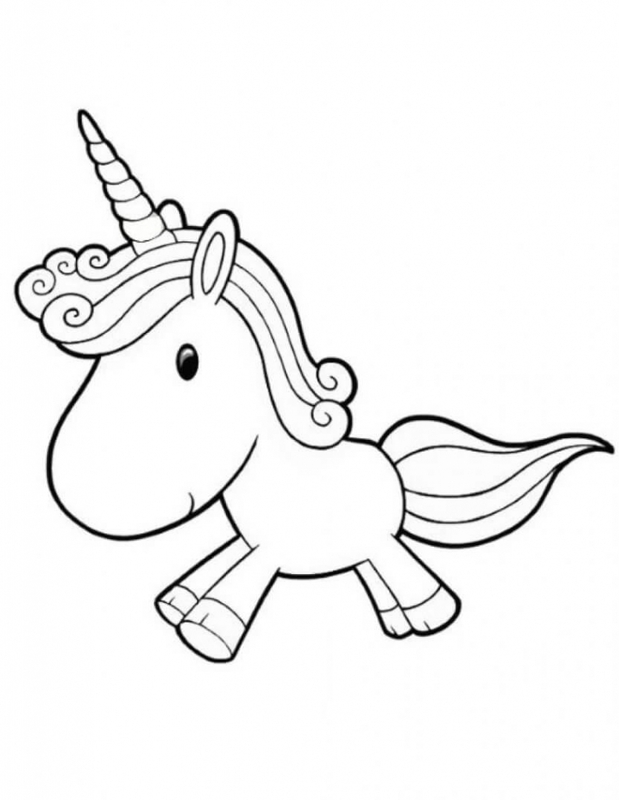 The unicorn lost his horns while combating a ram, which later got replaced with four small horns. Jewel is a noble unicorn from the Narnia franchise. Faithfulness and loyalty reflect in his actions. He commits himself entirely to the battle which had no chances of winning! King Tirian and Jewel are best friends, who have each other’s back even in the saddest moments! Jewel is creamy-white in appearance with an ice blue horn. Sometimes he is also seen wearing a gold chain around his neck. 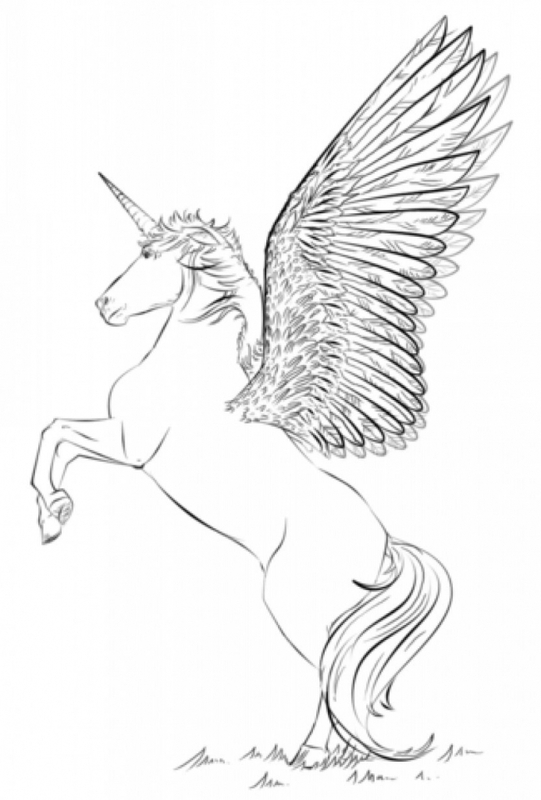 Here is a coloring page of a unicorn with wings. 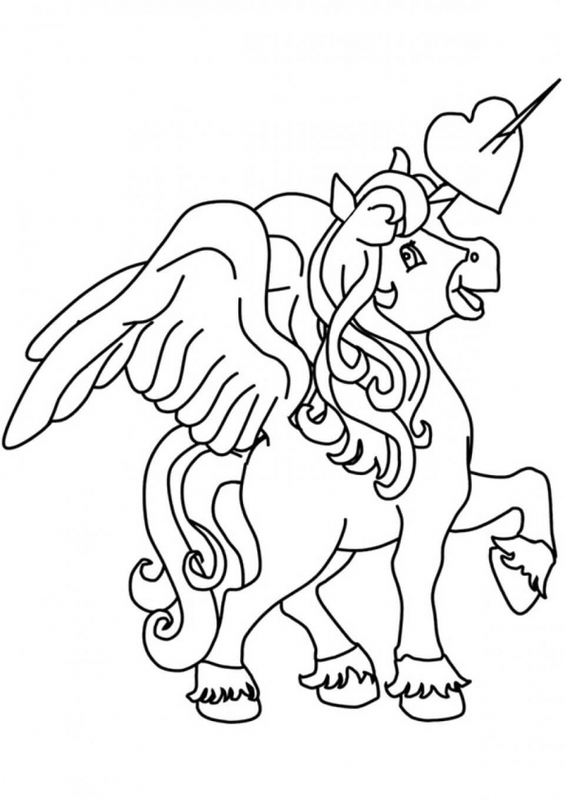 Sometimes these kinds of unicorns are also known as either Pegasus/Alicorns. They have a magical ability of flying. They fly over the mountain tops to fluffy clouds. They are majestic and magnificent in appearance. 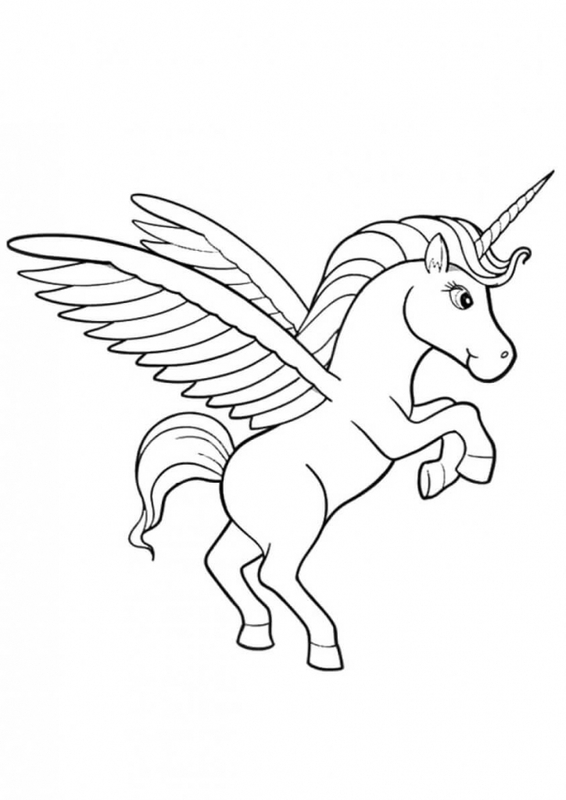 Unlike the Unicorn with wings, Cartazon doesn’t possess any magical powers. They reside on large mountains. They are gentle with the fairies and have a tawny mane, goat’s tail and a large pointed sharp horn. Pegasus, one of the popular creatures from the Greek mythology was considered as a symbol of wisdom and fame since the middle ages. They are one of the kindest unicorns and are usually white in appearance. 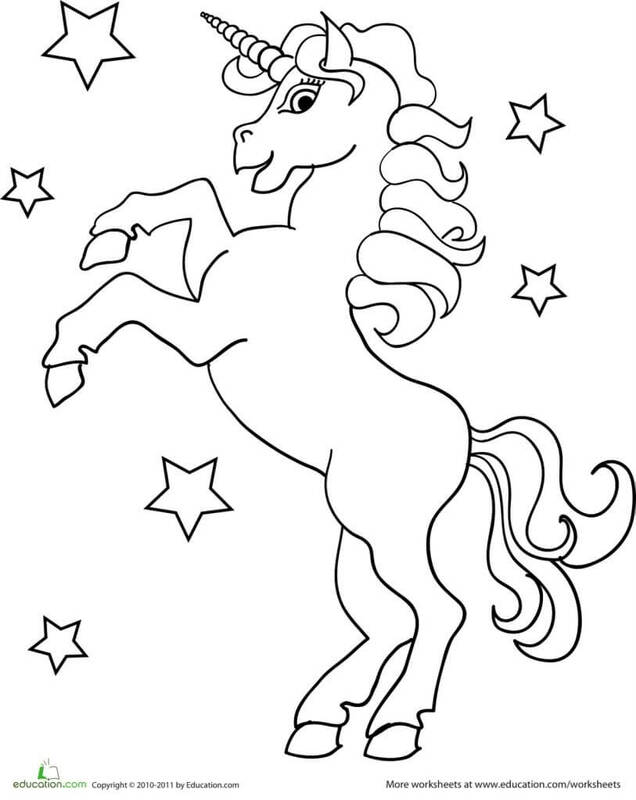 How cute this coloring page of a baby unicorn is! Filled with innocence and love, there is absolutely no doubt your child won’t fall in love with this cutie. 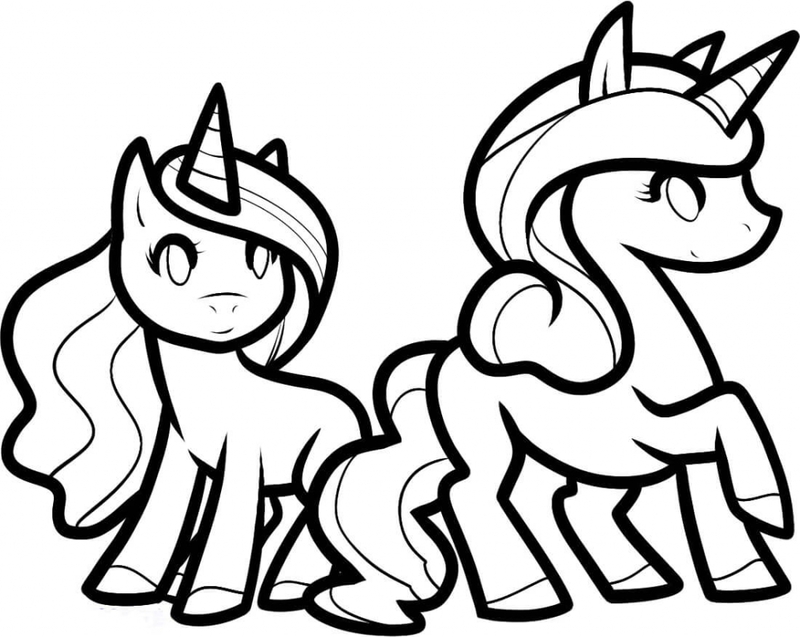 Chibi’s are short, lovely unicorns. Chibi is the Japanese word for small/short. 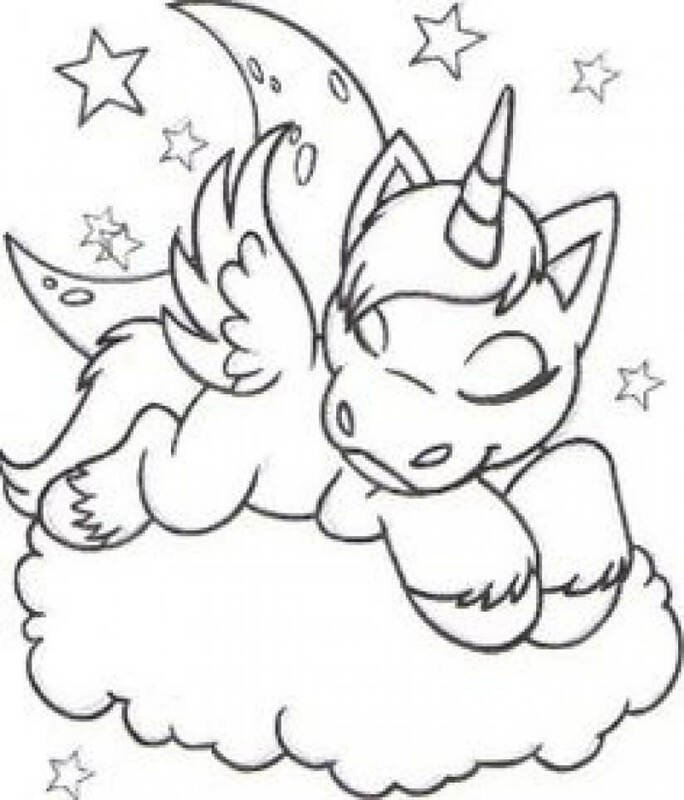 This coloring page is perfect for your kid who loves playing with colors and would love filling the pictures and adds more cuteness to it. Lancelot is a goat like unicorn, native to California. 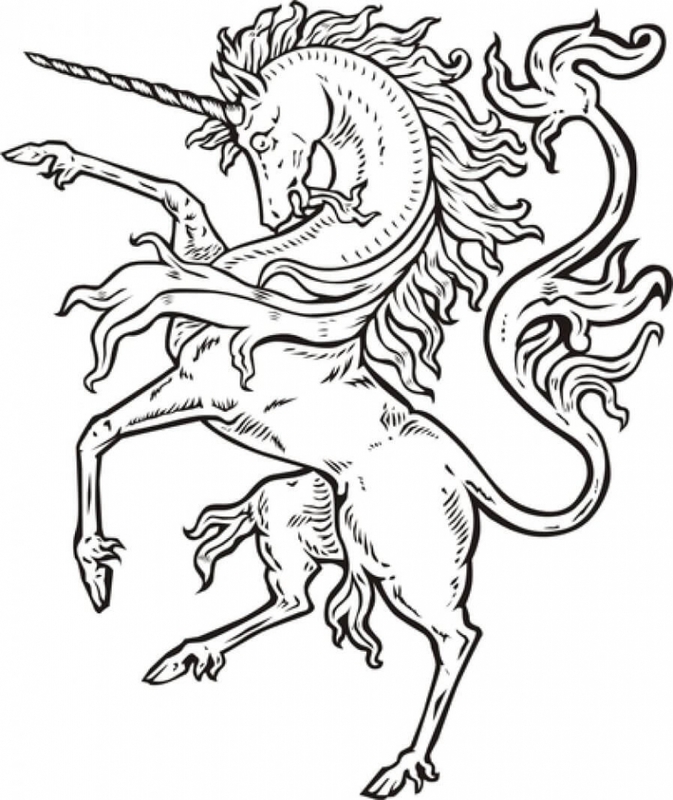 It’s one of the strange and unusual unicorns, because of its appearance and beauty. It was also seen on a public platform during a circus in 1980, its stunning appearance being one of the main reasons of its display. Lila is one of the characters from Barbie of Swan Lake. She has a purple skin with blue eyes and pink mane, tail, hooves, and horn. Persian unicorns are also known as the Khara due to their resemblance to donkeys. 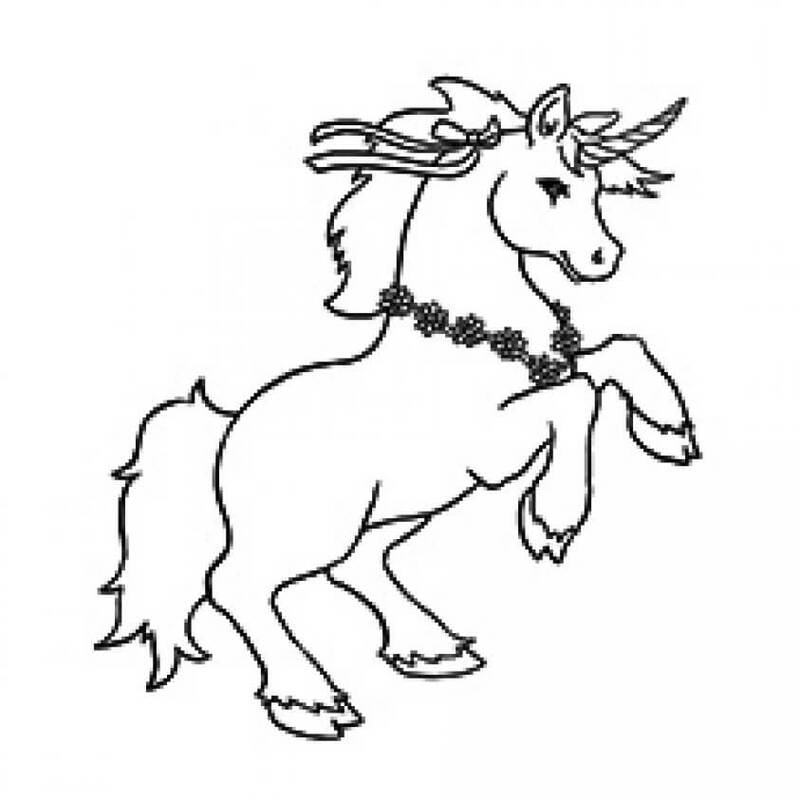 Unlike the other unicorns, they are deadliest and are extremely powerful. They hold a unique place in the Zoroastrian culture. They have six eyes and three legs. European Unicorns are the ones who are found in the remote places on earth. These Unicorns are said to be the most pious ones. They have big, brown eyes and a horse-like mane. The water gets purified by just the touch of their horns. Japanese Unicorn is one of the most integral parts of oriental culture. They have a thick mane and resemble either a deer/goat. With supernatural powers of detecting the evil, they are harsh towards the wicked and punish them to death! Karkadann is one of the extinct species of unicorns native to India, Africa, and Persia. It highly resembles an Oryx and has a huge body like a rhino and a tail like a lion. They were believed to be the supreme protectors of a dove’s nest, just to enjoy its beauty. Kirin, a species of unicorn found in some parts of Asia, closely resembles a stag. It is usually found in some parts of China and Japan. Its body looks like a musk deer and tail like an ox. It also has a multi-colored belly. 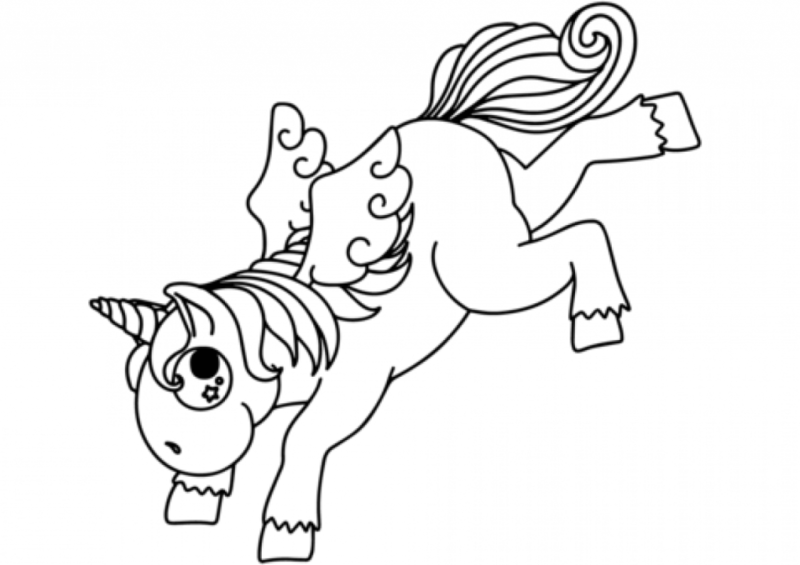 Here in the picture above, we see a Kirin with no spots, but in reality, it has white spots on its back, so don’t forget to tell your child to add some while coloring it! 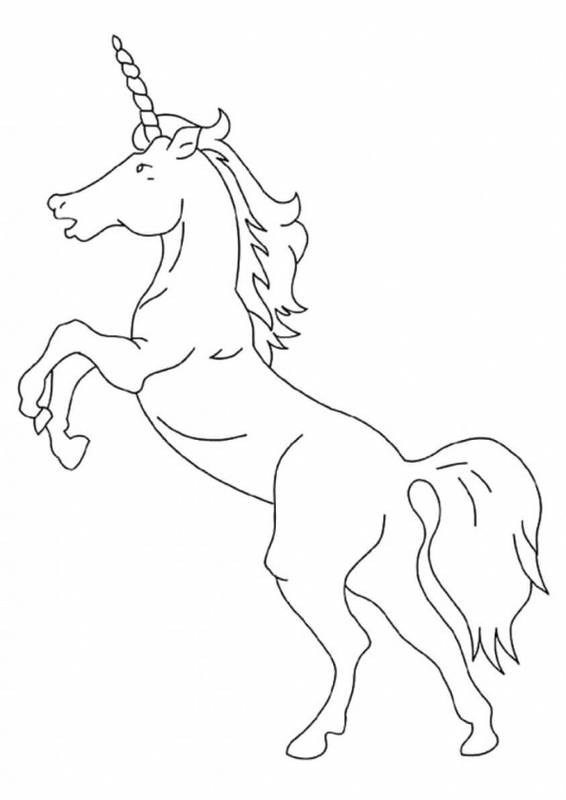 Glorious American unicorns share a close resemblance which a white horse, except for the horn. 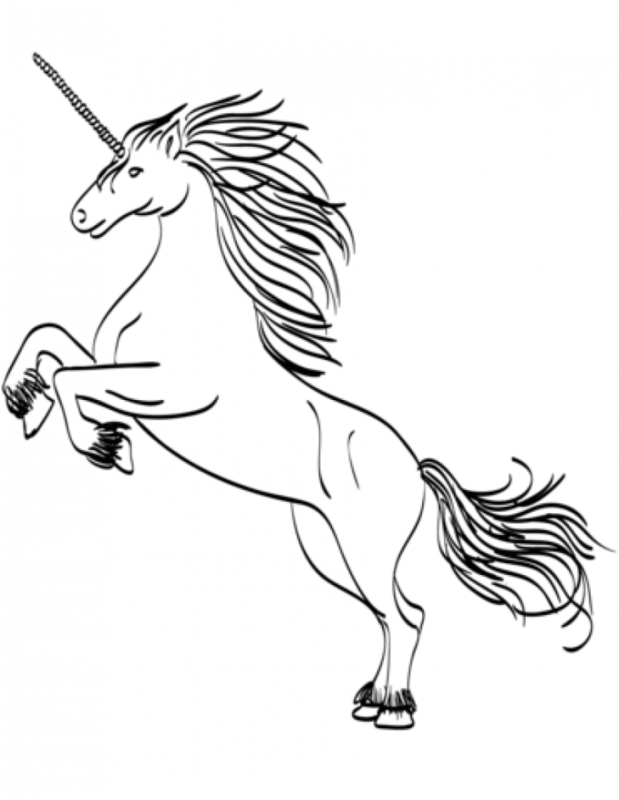 The female unicorns are twice as faster than male counterparts. They travel in herds and love eating blackberries and clovers. Physiologus is one of the educational texts written in Alexandria by a Greek author. The book depicts several creatures including stones, birds, and animals. 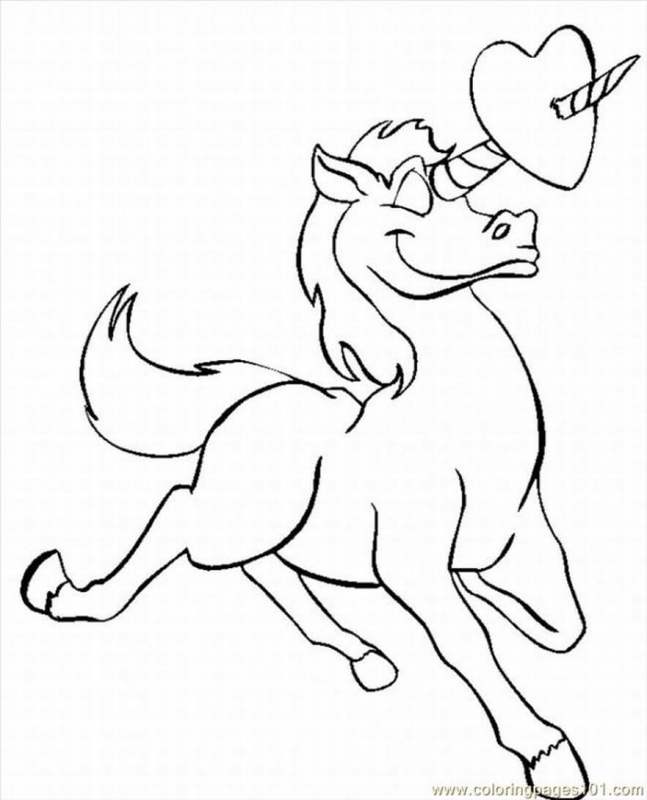 It also includes didactic text about Physiologus unicorns. They are described as one of the vicious and small creatures! Ruva, one of the classic unicorns, is also known as ‘flower unicorns’ due to their special connection with the flowers. They are naturally pastel in color and look exactly like horses except for the single horn. Shadhavar is a tender, gazelle like unicorn. It is said to be carnivorous and hence was considered as a threat and called evil. But this was proved wrong after animals and humans were drawn from the beautiful flute-like melody that its hollow horns would create after wind passing through them. 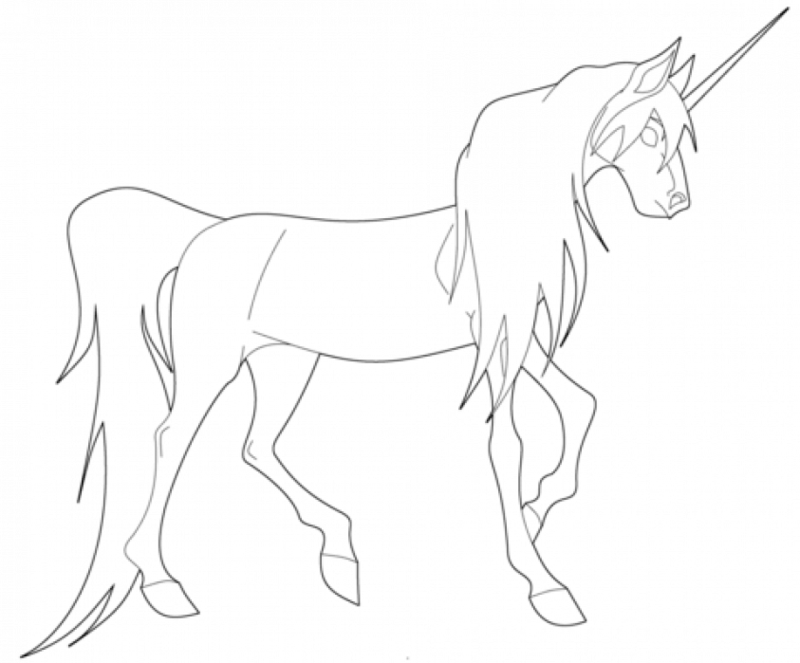 It is undoubtedly one of the unique unicorn coloring pages in our list! The Black Beauty unicorns are said to be one of the plain colored unicorns. They have a single color mane, fur, but their horns are red in color. It is said that they attacked the bright colored unicorns for food, water as well as their magical attributes. These are the subtypes of the European unicorns. Re’em is one of the unicorns mentioned in the Bible. It was considered as agile, strong and spiritual. However, its superficial powers always remained a mystery! It was too enormous to even fit into an arc! 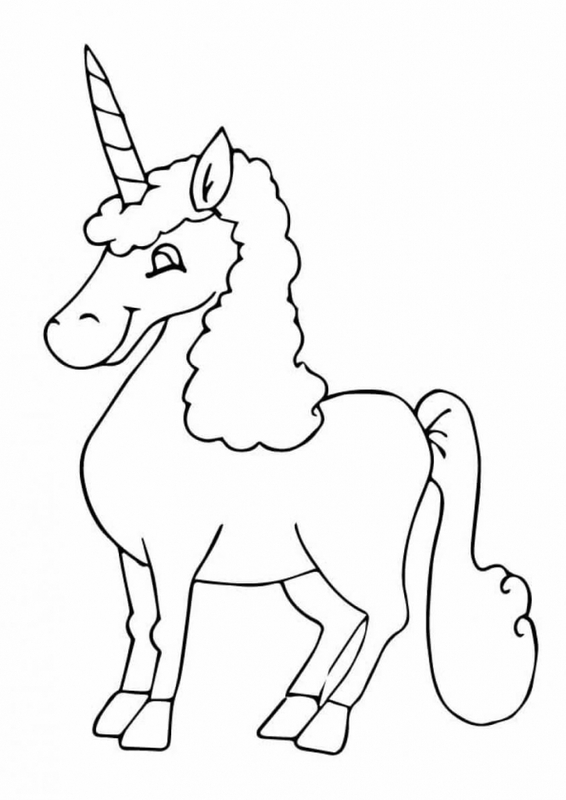 Here we bring you a coloring page of a majestic and noble young unicorn. What a kingly posture indeed! It reflects royalty and regality. 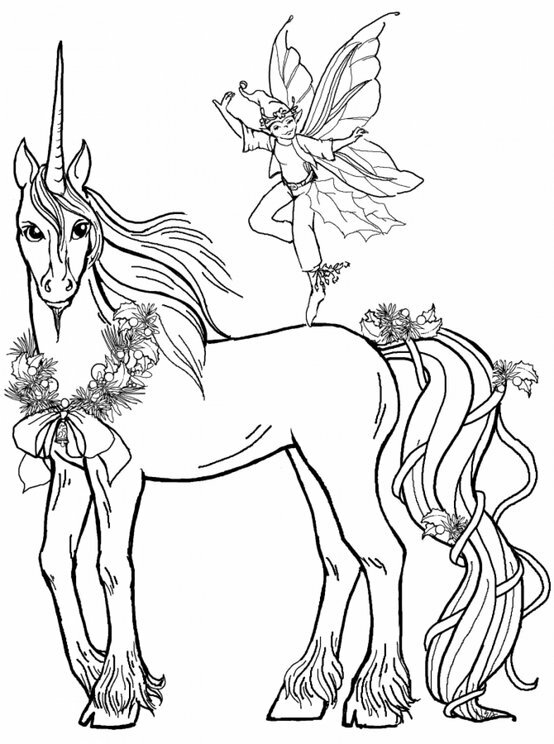 Kids who often hear royal stories, especially girls would love coloring this picture! Bright colors would be the most suitable for this picture. You can even encourage your munchkin to draw ornaments such as jewels and crowns to make it look totally magnificent. 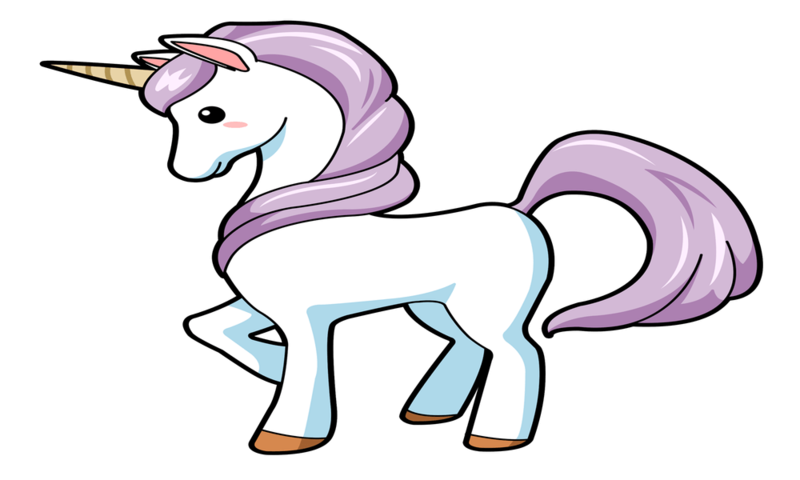 How adorable does this unicorn look! It is believed that they resemble horses except for their single horn and magical powers! They graze like the other horses and ponies and feed on grass. Usually, they graze in herds. Such unicorns are usually found in the remote parts of European countries. And here we present a picture of a rearing unicorn. They rear in the condition of excitement, fear, rage, pain or disobedience. What do you think, why is this unicorn rearing here? Think about it while coloring this beautiful sheet! 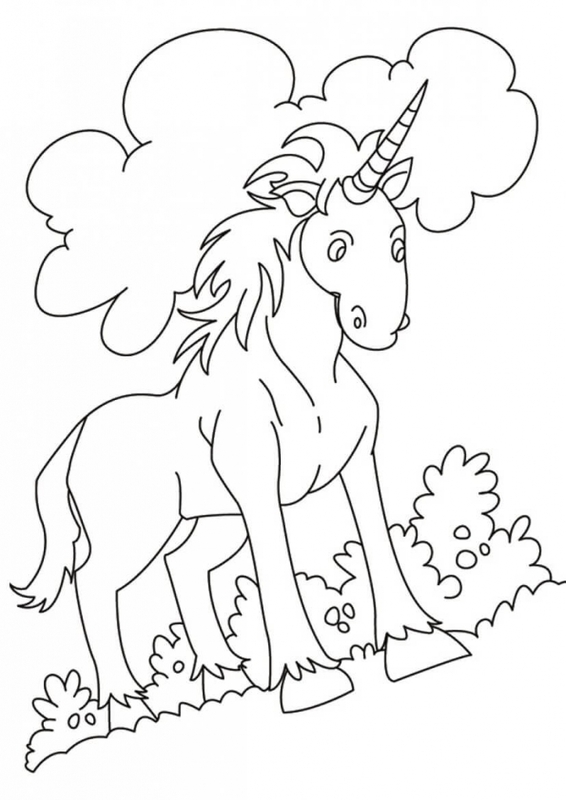 Here we see a cute bucking unicorn on the coloring page above. It seems to be a baby Pegasus unicorn bucking in joy! One can even interpret the picture as the unicorn bucking on the fluffy clouds. 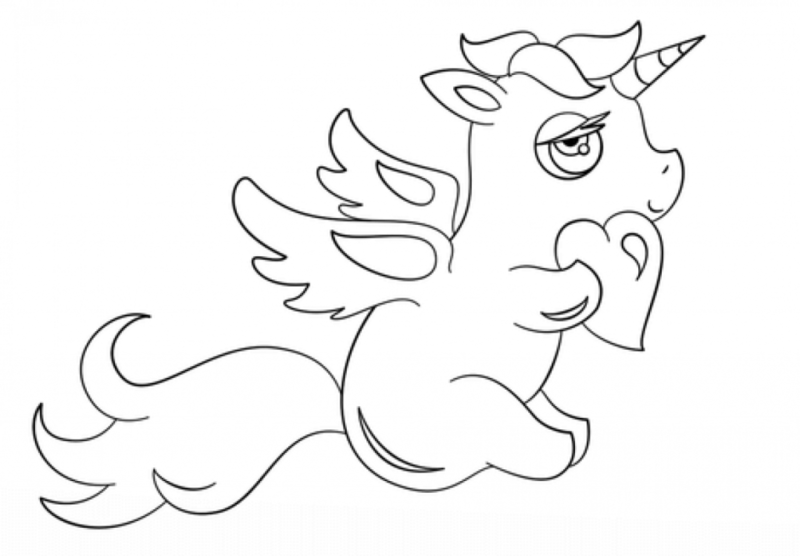 If you think so, do not forget to draw clouds surrounding the adorable unicorn! 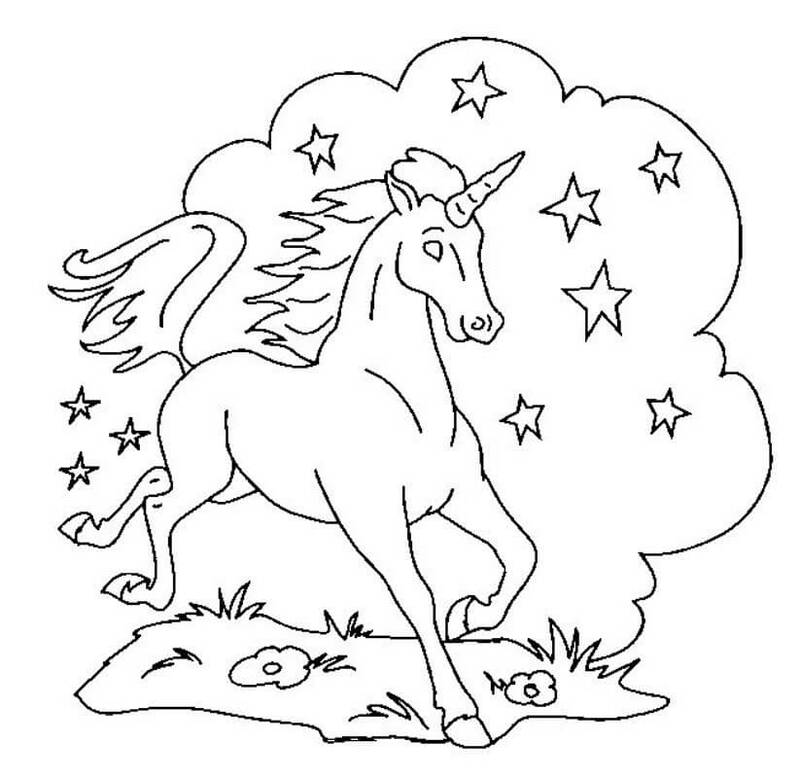 The coloring page above depicts a unique blazing unicorn! Though unicorns are a symbol of peace and calmness, they can even turn into their deadliest sides to fight against the evil! This picture is perfect for energy driven children who love sports activities; this will draw his/her energy into a brilliant piece of art and also cool his mind! 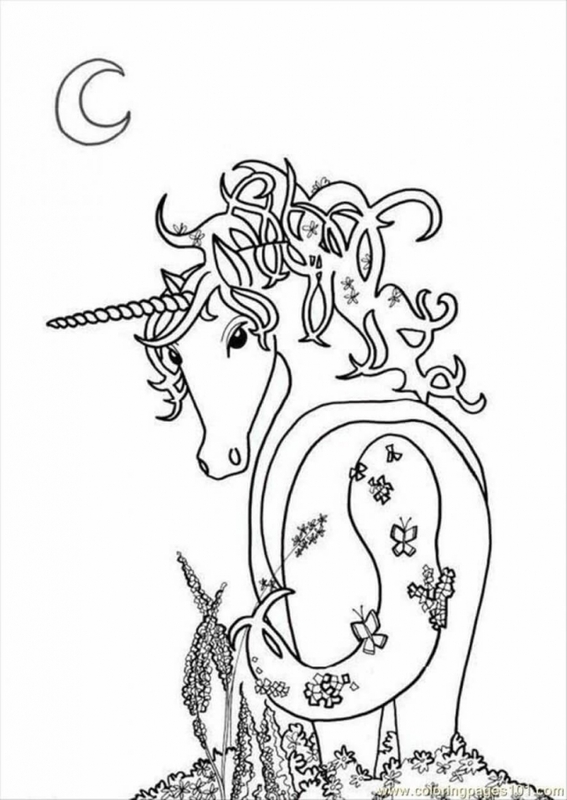 Now, this is something one of the most unique unicorn coloring pages. 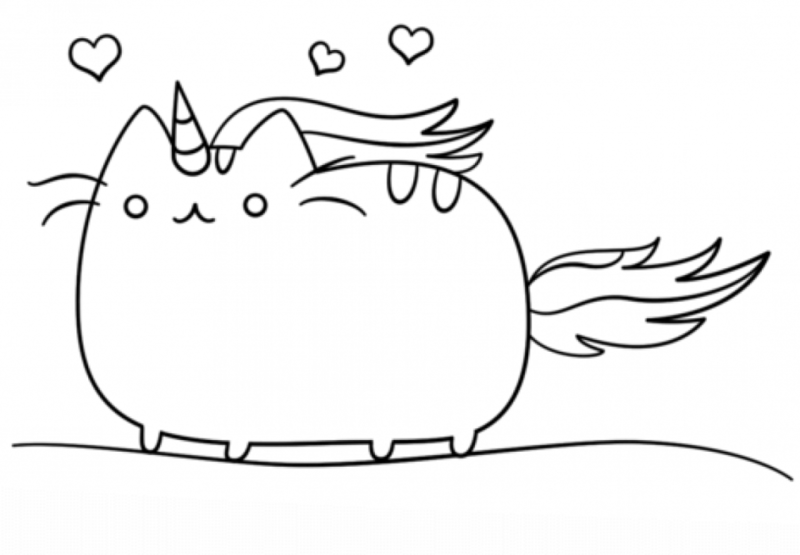 Cat lovers would fall in love with this unicorn in an instance. 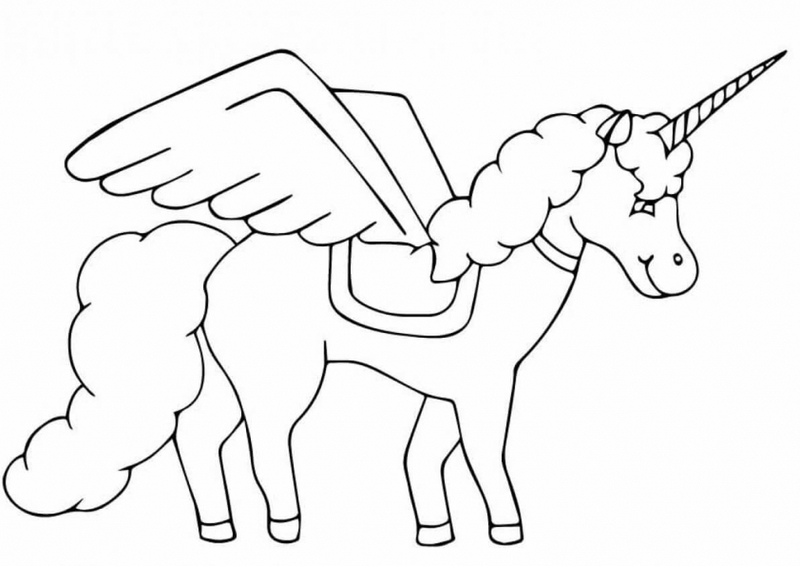 It seems to be a Pegasus adorable cat unicorn, spreading love wherever it goes! 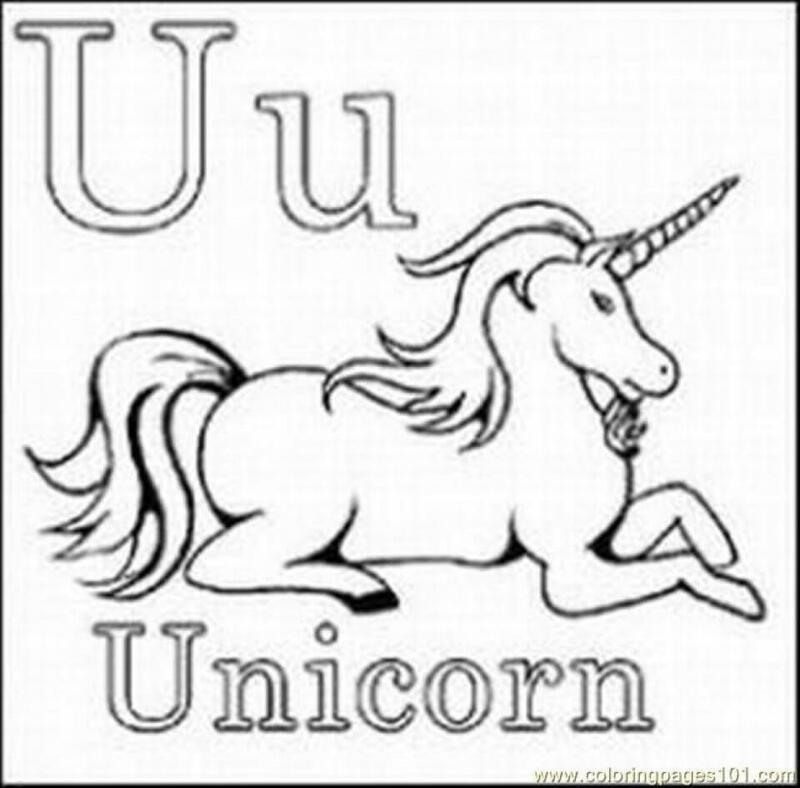 Glitter, shine, and shimmer are some of the adjectives which come into our minds whenever we think of unicorns. 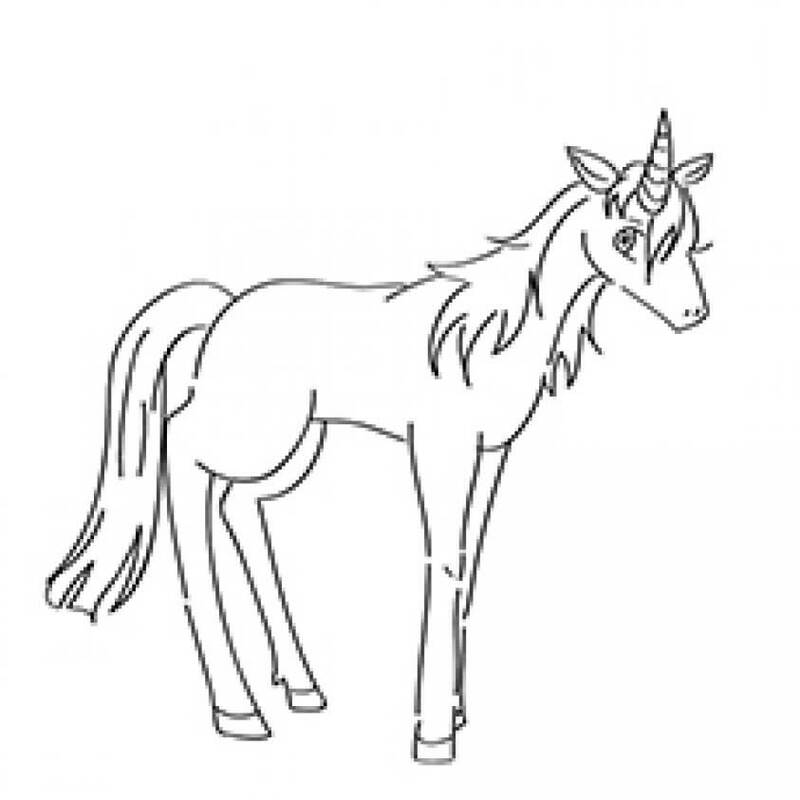 We have always heard of unicorns coming from a magical fairy land acquiring magical powers emitting from their horns, which seems to be true from this sparkly unicorn coloring page! This is a picture of a perfect unicorn couple in one frame! They seem to be madly in love, gazing at each other with affection. Let’s fill them with the colors of love! Have you just admitted your child in pre-school? Is he new to learning the alphabets? If yes, then this is the perfect unicorn coloring page for him! While your child is coloring this page, make him repeatedly say the alphabet ‘U’, this will make him easily learn with fun. In a world where clicking selfies is not less than a ritual, why would unicorns be far away from this trend? By taking a glimpse at her fashionista attire, it seems she is all set to get clicked. Children who love getting clicked would undoubtedly fall in love with this picture! 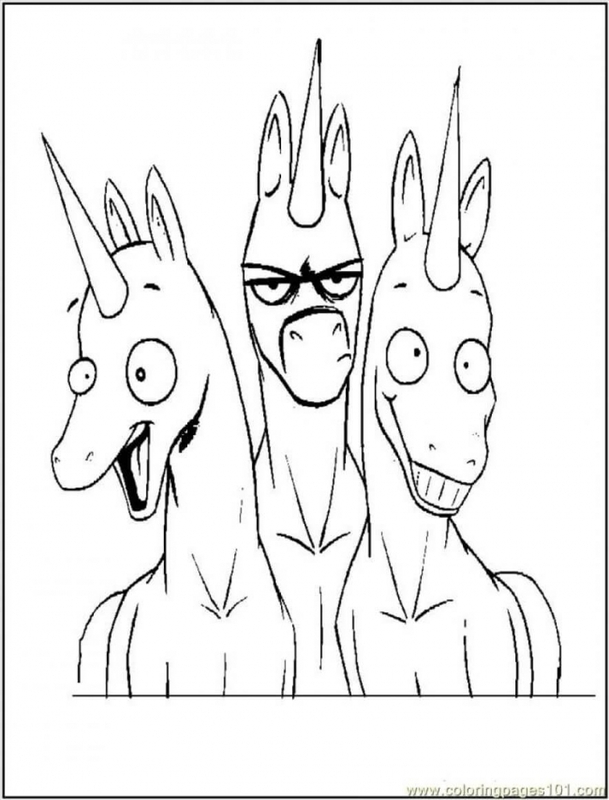 Who would resist laughing at this funny picture of unicorns! They are making such funny faces that would make anyone’s day. Show this picture to a crying child and it would instantly uplift his mood, while coloring this image. 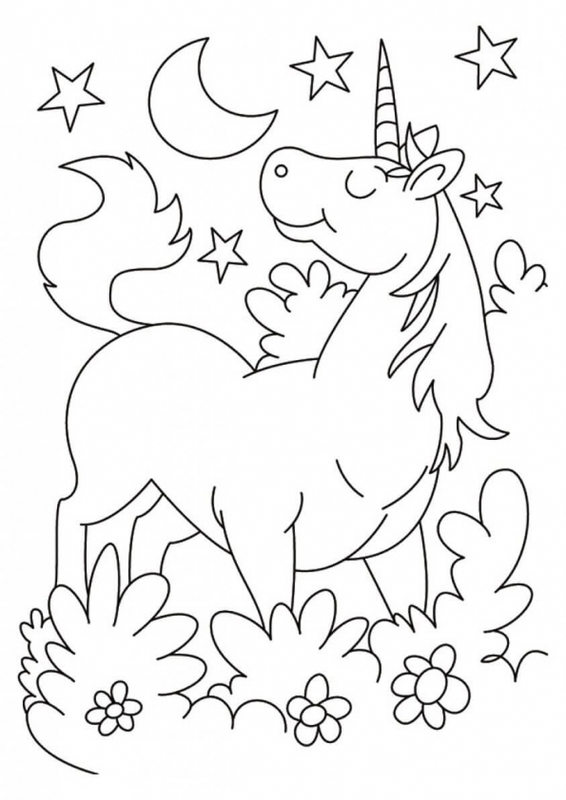 One of the cutest coloring pages of unicorns. It seems like the arrow shot from the bow of cupid has hit the right strings. Enjoying every bit of love showered on him, this unicorn is seen happily bucking with the warmth of love! Alert! Cuteness overloaded. 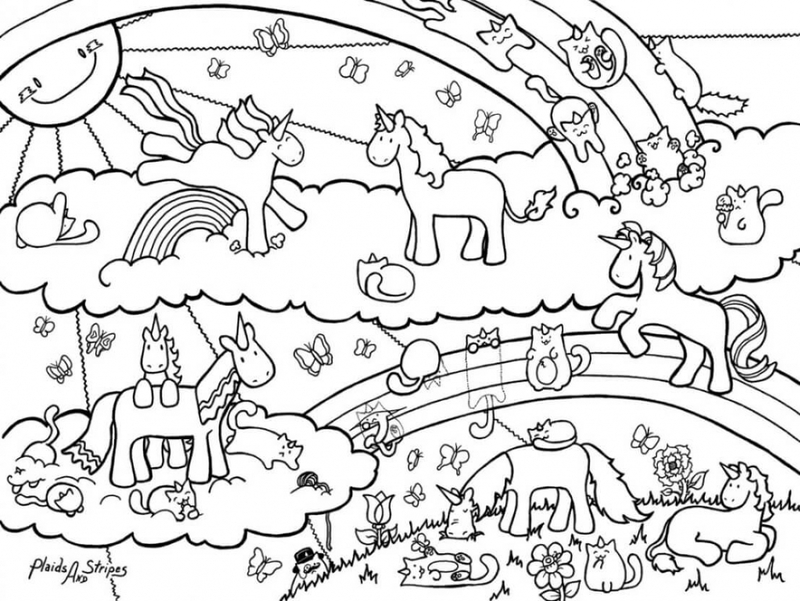 I bet no child out there would overlook this coloring page! How cute the mane and the bushy tail look! 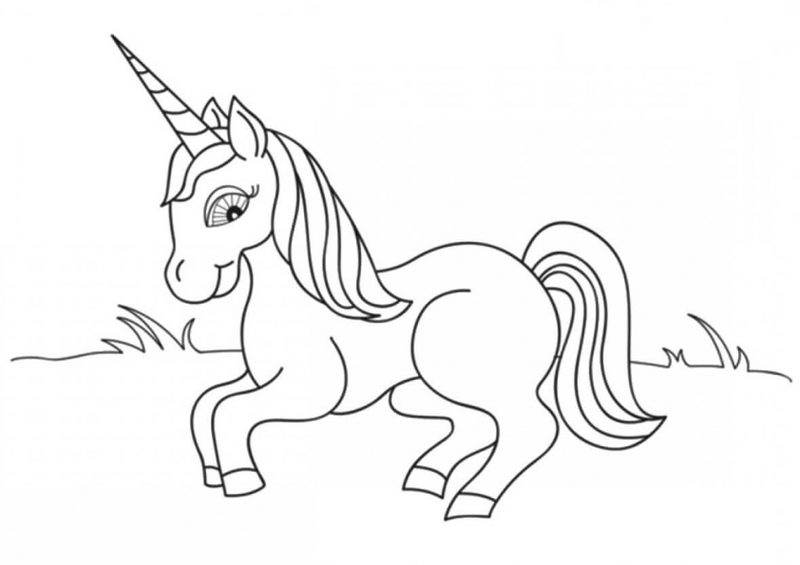 Kids who have just begun with coloring sheets sessions should be given this page for a small but sweet start! 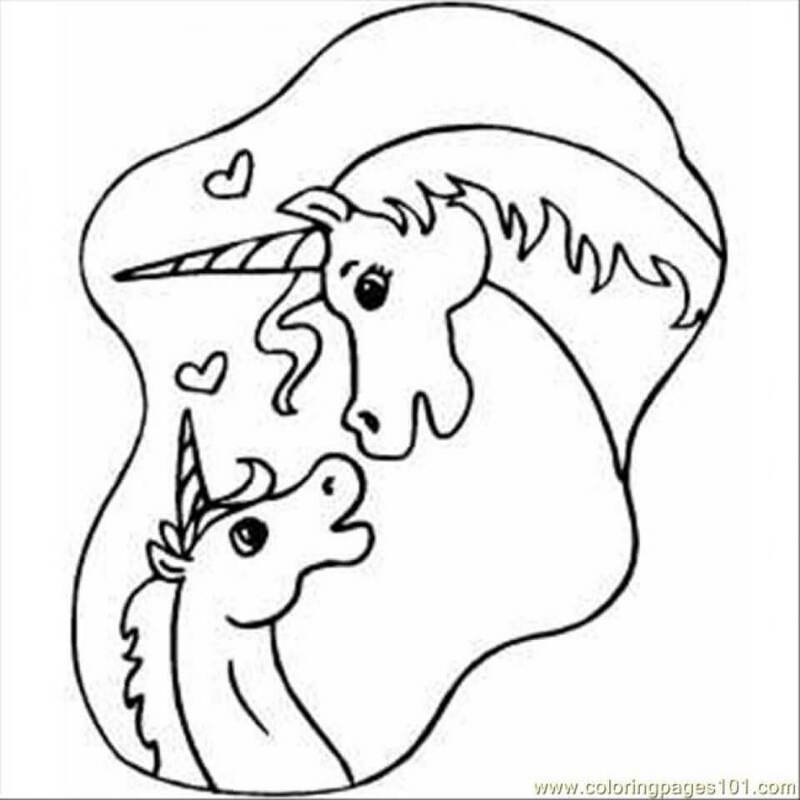 Unicorns are best known to keep their friendship till eternity! Here we see a picture of two cute female unicorns roaming together. What do you think where are they heading to? Royalty and unicorns are one of the best matches that people have been hearing since ages. They both go hand in hand which is also shown in many fictional works and books and it is also showcased in the coloring page above as well! A group of Elephants is called a herd, a troop of sheep is known as flock, in the similar manner a herd of unicorns is known as a Blessing! True indeed! This is a picture with many details in it. 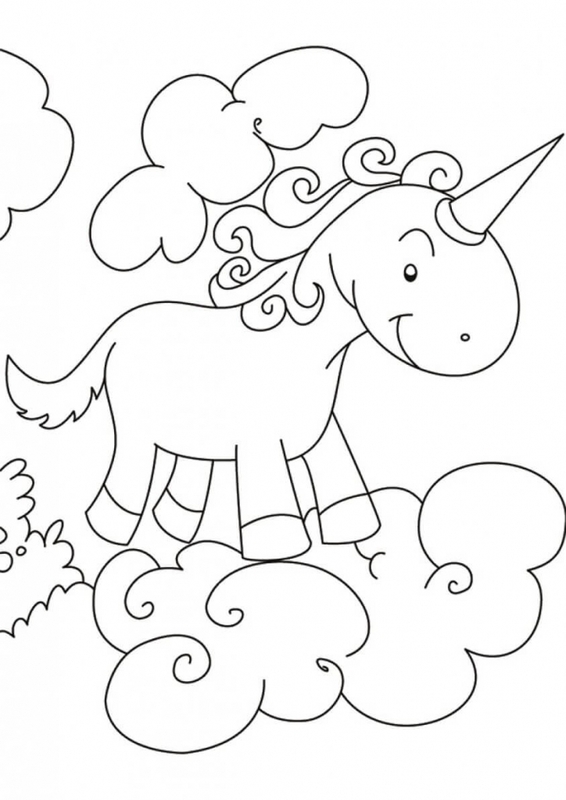 The child who loves highlighting details while coloring will like to color this one! Some unicorns are known to be fairy gentle. They have a good bonding with the fairies which live in the magical land! 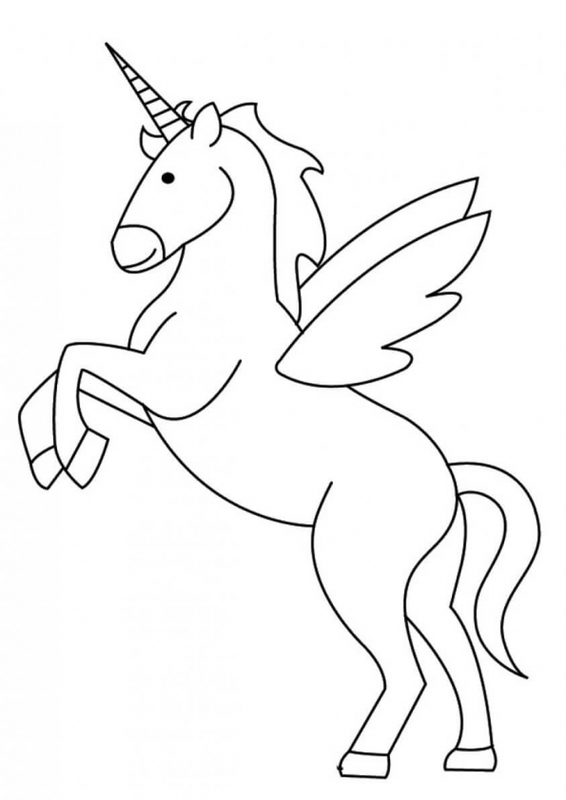 It seems as if the fairy has spelt a magic wand and dressed up the unicorn beautifully! Adorable in every bit of expression, this sleeping unicorn is a baby Pegasus believed to be residing in the midst of clouds. It seems he loves to take naps in the same puffy cloud. 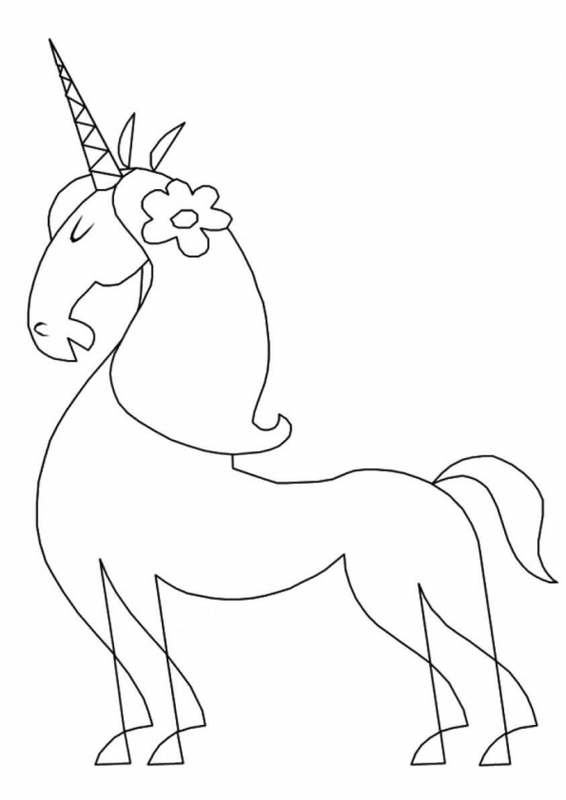 We’ve an education unicorn coloring sheet for our readers. 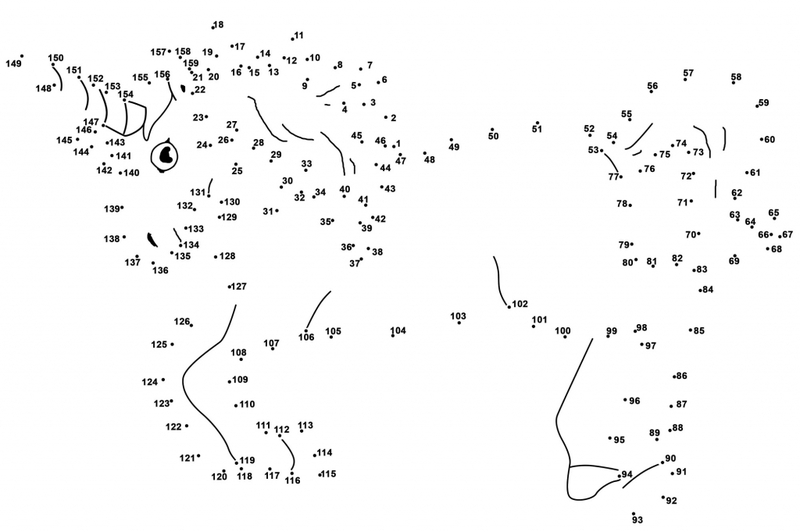 Let’s see how many kids out there would be able to connect these dots to make a unicorn face? Just follow the small dots and there you go! 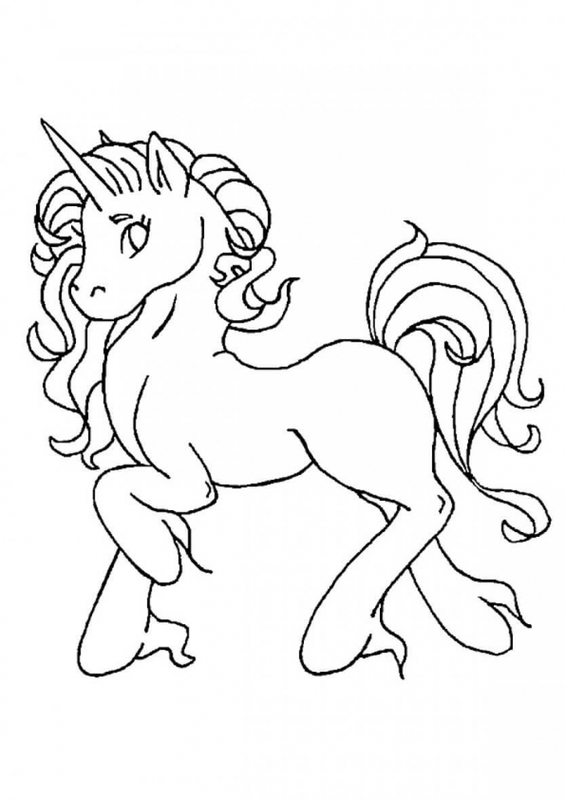 Last, but not the least, we’ve got our readers the most coveted and in demand, the unicorn emoji coloring pages. 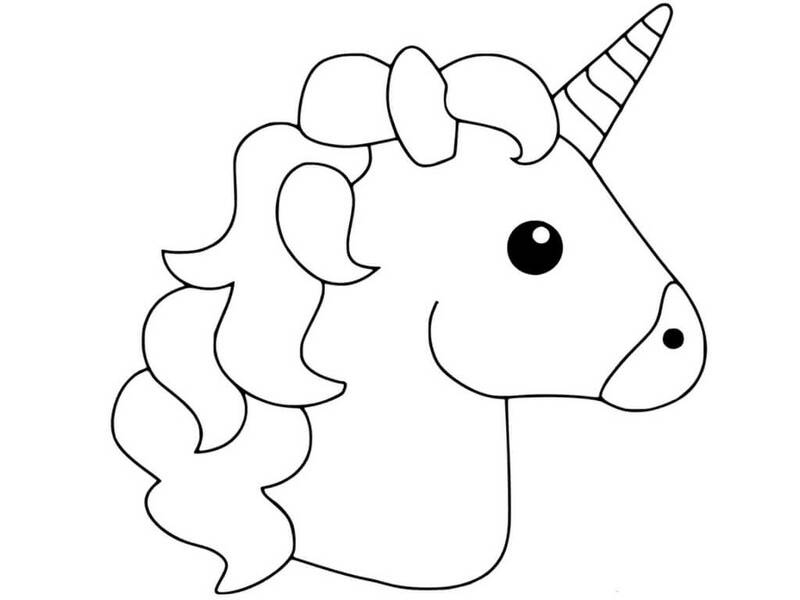 You should aim to make it as colorful as the real unicorn emoji is. 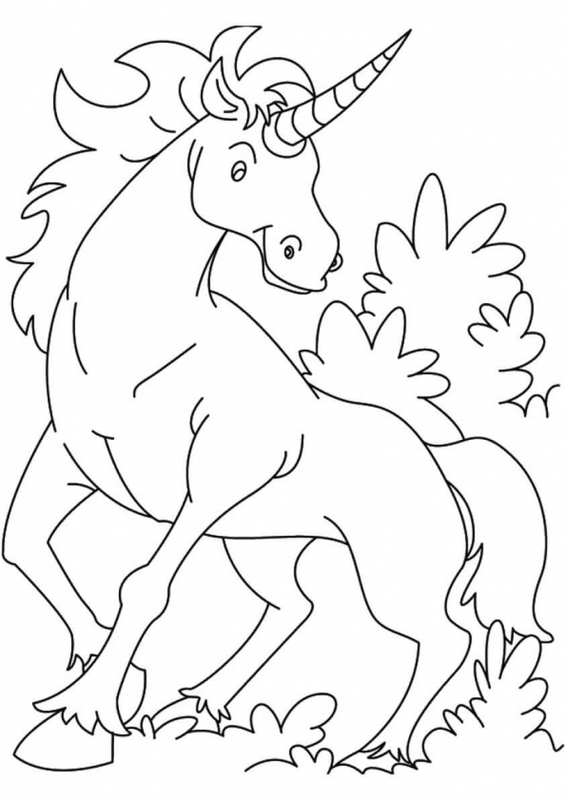 So, kids, this was our unique compilation of unicorn coloring pages. We hope you loved coloring them, the way we love presenting unique articles for you! We are waiting to hear from you about what you would love from us next!